The news that Heineken is buying most of the tied pub estate of Punch Taverns has been written about on one hand as a great and confident nod to the future of the British pub and by by others as the return of the pre Beer Orders beer world. Is either position really the case? Ẁith the addition of 1900 pubs to its existing 1100 or so, soon Heineken will control over 3000 pubs and will apply, I assume, their rules to their new tenants. This will allow the tenants (in theory) access to a maximum of 176 cask beers, mainly chosen from big brewers. On the contrary, one of the good things about Punch in their latter days was the ability of its tenants to buy from far and wide, mainly through SIBA, though of course, Punch did apply their mark-up to the end product invoice. This allowed access to hundreds of beers. Jeff Bell describes the process here for those interested in it. As far as I know, Star Inns and Bars (Heineken's pub arm), allow no such flexibility. 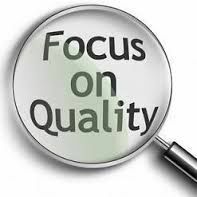 Indeed their tenants in my area tell me that far from being allowed access to the whole Heineken list, there is usually a much smaller list from which they must choose and requests for access to the bigger list, imperfect though it is, are stonewalled by area managers. One must assume that is done on grounds of profit, by Heineken purchasing and selling large volumes of a small amount of brands, led of course by their wholly owned offshoot, Caledonian Brewery. It puts Star Inns and Bars tenants at a considerable disadvantage over rivals who are not so hidebound. Now the Beer Orders have been long since revoked and funnily enough, Punch were in the process of really cleaning their act up - a process presumably approved of by Heineken, as they have stumped up £305 million to take control - but will this massive tie really be good for choice? Heineken are clearly aware of this concern and issued a statement to the London Evening Standard. Reading this rather bland and wishy washy set of "assurances" you may not exactly be reassured. Lawson Mountstevens, head of Heineken’s Star Pubs & Bars UK estate, told the Standard: “Our plan is to keep great London pubs as high-quality venues." 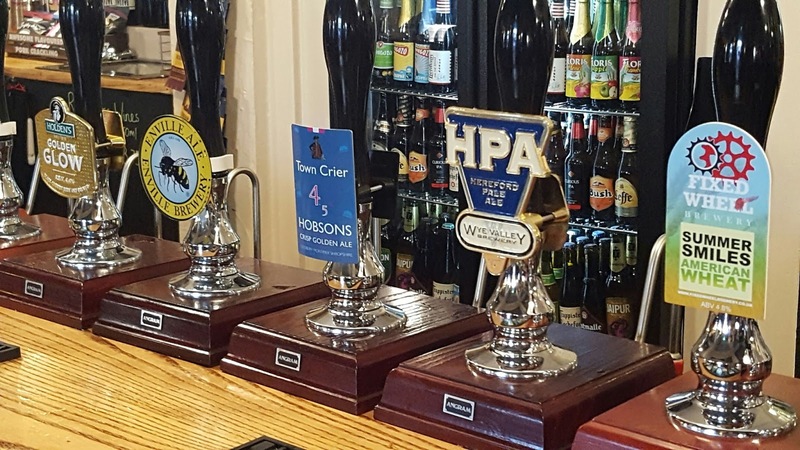 He added: "Around 15% of the brands we sell in each of our existing pubs are not owned by us, so we use regional cask-ale brewers such as Fuller’s. 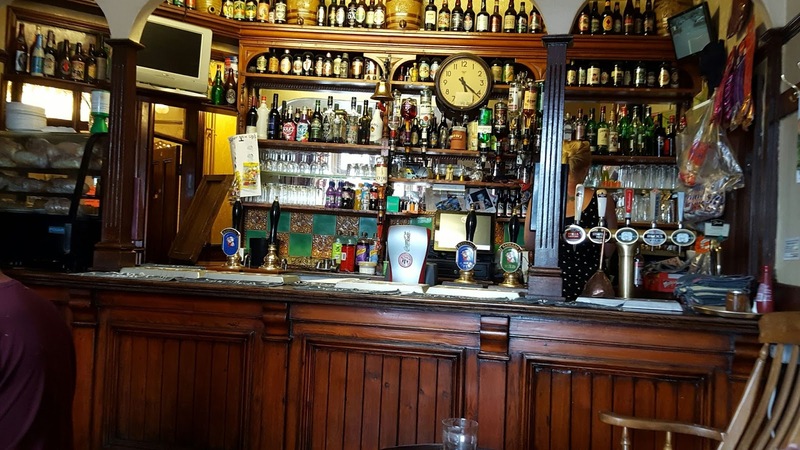 I want to reassure sceptics that, subject to the deal for us buying the Punch pubs completing, we will aim to keep up this policy of selling a number of non-Heineken beers.”. Convinced? Me neither. A huge loss of choice will do nothing for the dog eat dog situation of over supply and may well see off quite a few brewers as markets close to them. In this respect we are indeed heading back to the closed markets pre Beer Orders. The Good Old Days? For Heineken, maybe. Heineken's boast of maintaining choice looks much less attractive of you look at it as Heineken selling 85% of brands they own in pubs. To save you the arithmetic Heineken are paying an average of £160,000 a pub. Their partner, Patron Capital will retain and run the 'Punch B' pubs of which there are 1,329 as well as TopCo. Frankfurt isn't exactly known as a beer paradise. 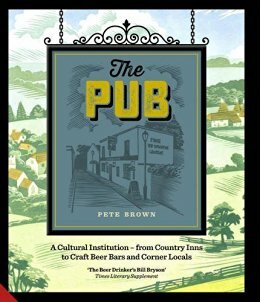 It has a few brew-pubs of no distinction and actually, in the centre at least, not that many pubs at all, though there are one or two gems. 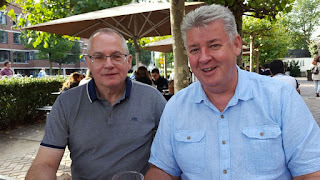 Having said that, it isn't all about beer in Germany and with E's brother in tow, we enjoyed a few days there a couple of weeks ago. The plan was basically to visit at least two Christmas markets, a couple of churches and for me at least, to drink a bit of cider, known locally as apfelwein and a regional speciality which I've written about before. 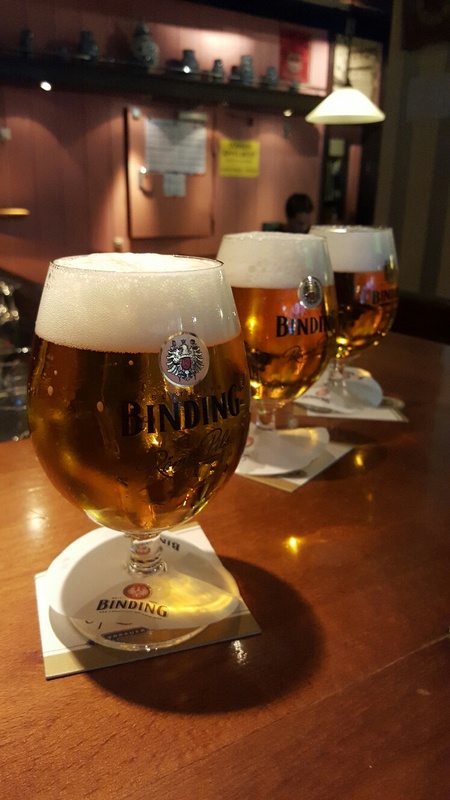 There is almost always beer at German Christmas markets, but it is usually cheap and generic and as Frankfurt is home to Binding brewery, that was the beer of availability, though we did come across the odd Henninger tap, brewed also these days, by, well, Binding. You can tell how much an area cares about its beer in various ways and one sure give-away is that where the name of the brewery isn't displayed on the tap, the "care about beer quotient" is low. That's Frankfurt. Or maybe the whole state of Hessen. If you asked what beer they had, they answered "Ordinary beer and weissbier." Now Binding Pils isn't bad. Technically perfect and all that, but boringly forgettable. We did stumble across a couple of decent boozers though. In one, just off the main market a fairly tipsy Santa was supping beer and gluewein and conversing loudly with a group of boisterous, black and yellow bedecked Borussia Dortmund fans, there for the game against Eintracht. He was still there, around three hours later when we came back to the market outside, but very much the worse for wear and still in his red and white suit. Whatever his duties were, they had clearly fallen by the wayside. It was at this point I got a beer worth drinking. At a nearby market stall, I was offered a dark beer which was absolutely delicious. In third of a litre measures, this was lushly malty, aromatic and fruity with a good alcoholic kick which gave a warming glow as the evening chilled. A bit of an enquiry later I found out that I was drinking Carolus, Binding's Doppelbock. It was so good I had three which certainly sent me on my way rejoicing! If you are in the neck of the woods at Christmastime, seek it out. But what of the apfelwein I hear you ask? The mecca is Apfelhaus Wagner in Sachsenhausen. I wrote about it here in 2010 and it hasn't changed a bit. 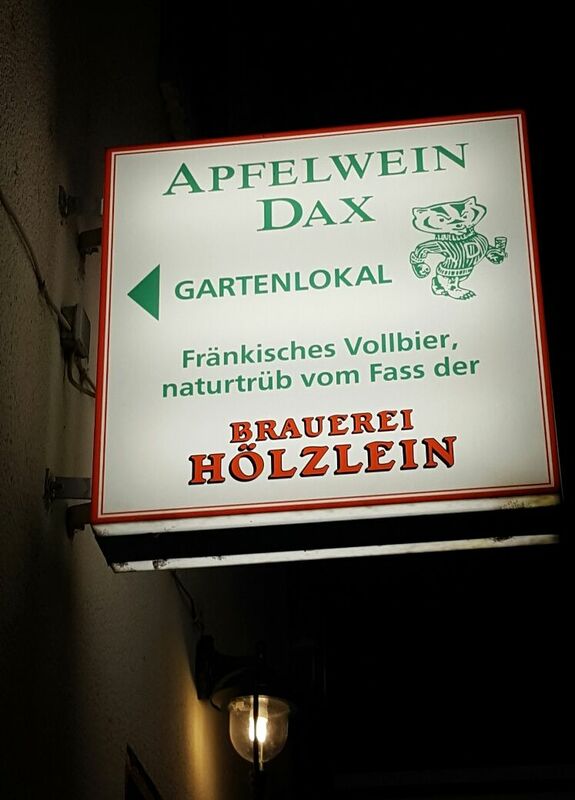 We enjoyed - or rather I did - a jug of the house cider which was pretty good, though I recommend Apfelwein Dax for a sheer no nonsense cider house which also sells beer in the shape of Brauerei Hoelzlein from Franconia. The food is tremendous there too, but the boisterous, friendly atmosphere is pretty much unrivalled in the area. The cider is bloody good too. Go there. One word of warning about the state of Hessen. It isn't very pubby at all. Wiesbaden with its lovely Dom (cathedral) is rescued by its Andechs owned Ratskeller but nothing else if the market was not in operation. We called into Mainz too to visit the thousand year old and utterly entrancing Dom. A couple decent pubs there, but mainstream beer was the order of the day. Still, at least we found pubs. Mind you, Mainz isn't in Hessen, but is the capital of the Rhineland Palatinate. Maybe that tells you something. I chalked up three cathedrals in this visit. I recommend them all, but Frankfurt's is scarcely original due to the attentions of the RAF in 1944. the same can be said though of the entire city centre. Go to Sachsenhausen. Wiesbaden was spared the bombing and is recommended for its architecture. Mainz seemed ordinary enough but gets marks for its decent pubs and the outstanding red sandstone Dom. One other thing. The strength of cider is not stated in the pubs. It seemed strong enough to me, but is mostly around 4.5% - 6% alcohol. When it comes to modern day mild, plenty it seems. Many brewers of mild have changed the name of the product to something considered more appealing. One of the first I recall was Brains, whose famous mild was renamed "Dark". 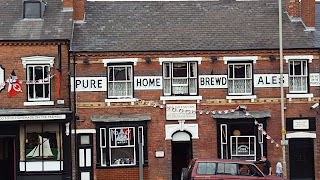 Others have done so including my own local brewery, JW Lees whose award winning mild (GB Mild was Champion Mild of Britain) to Brewer's Dark in an attempt to widen its appeal, alas without much success if local volumes are anything to go by. Resisting this trend though is Joseph Holt whose name resolutely and defiantly remains as "Mild". But the point remains the same, that mild is in deep decline and even Holt's have succumbed to the trend. Where it would once have been unthinkable to go into a Joey's house and find no mild, now it is more or less the norm, though as in the case of JW Lees, stubborn, loyal pockets of mild drinking remain. Another factor which needs to be taken into account is that mild, whatever it is called, is sometimes only able to be presented in cask form because of the relative success of smooth dark beer, the volumes of which allow cask beer to be sold where it is still required and without which, there would perhaps be none at all. Smooth and cask beer in these circumstances have a somewhat symbiotic relationship, which is all to the good for us as likes a pint of mild now and then. 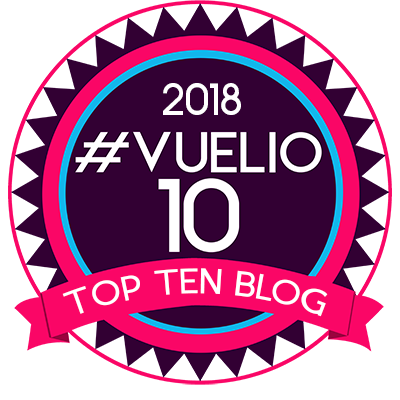 Now, oddly enough, this isn't a post singing the praises of mild, though readers of this blog will know I mention it now and then such as in this post. 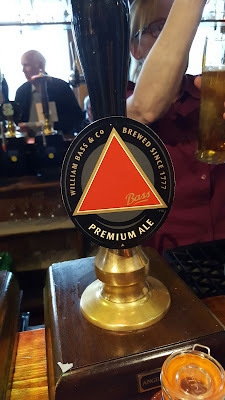 When the Landlady ran the Tavern, my local, she sold Lees Brewer's Dark as a standard beer, though sales weren't high, but our current landlord John sticks to smooth mild beer, while pushing the range of seasonals that Lees brew and, on occasion, the lesser known of Lees standard beers. 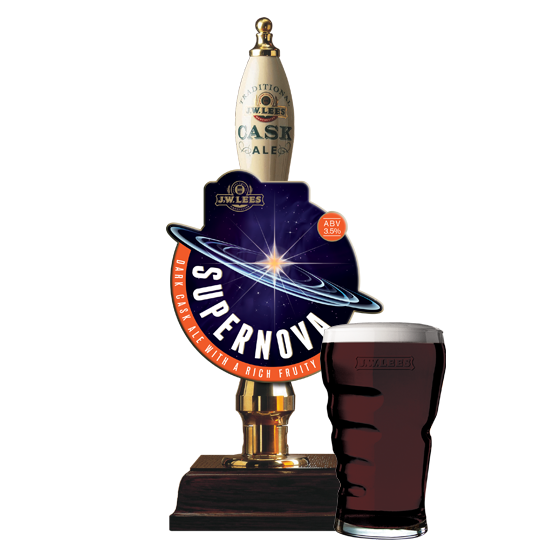 This was the case last Sunday when on the bar appeared Lees's other mild, Supernova. Now this is a tweaked version of Brewer's Dark, but much fruitier and with a more complex taste profile. On the few times I see it, I buy it. It is lush. John, our beloved landlord was pushing it for all its worth and it was interesting, in a packed pub, to see so many drinking it, both young and old, women and men. Whenever I looked up from our table the pump was being cranked and it was good to see so many drinking it. I somehow doubt that if it had been "Brewer's Dark" it would have sold nearly as well. The name helped. A lot. I believe many regular producers of mild (not all, before someone corrects me) have given up on the name "mild", but this shows that when you have a good beer, the name is attractive and you push it, mild can still sell. OK. It will never achieve the heights it once did, but a swoopable, dark, creamy, cask conditioned beer like this is low calorie, weak in alcohol and can add variety, a great drinking experience and attract itself to new customers. Mild can sell, so don't overlook it. Two things though. An attractive name helps, but essential is that tight, creamy head. Watery, flat beer is a general abomination, but much more so when it is dark. Sparkle dark beers, push them a bit and watch them fly out. Brewers Dark is a fine beer, but publicans reading this, try Supernova and sparkle it. And readers please remember. Mild beer is for joyous gulping, not sipping. 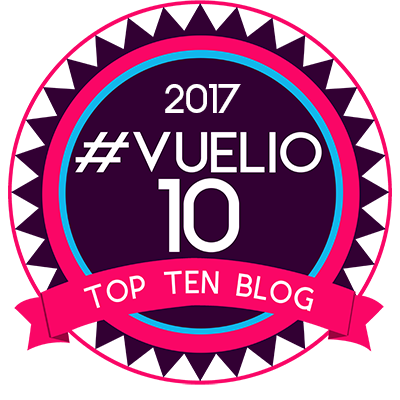 No, I haven't stopped blogging. It just seems like it. It is over three weeks since I did, but largely this is because CAMRA life has intervened in the shape of Rochdale Beer Festival - very successful thanks for asking - where I managed the bar and the beer - and of course looming on the horizon and giving off as much black smoke as a Russian aircraft carrier, is Manchester Beer and Cider Festival which for me, as Deputy Organiser, means lots of work, lots of prep and lots of coats to hold as differences of opinion rear their heads. Yes, your hero Tandleman is a peacemaker. 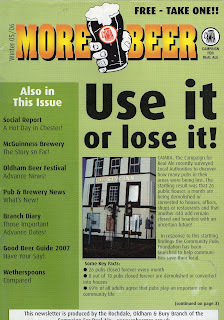 Oh and if I didn't have enough to do, I have just sent off our local CAMRA Magazine to the publisher and am awaiting the proof. It has been busy, busy, busy. So what has caught my eye in between all this stuff? Well an article in the Daily Telegraph that's what. Seems our chums in Fullers have been selling less beer and making more money. That's a good trick on one hand, though clearly not on the beer selling other. So how has this neat little manoeuvre been achieved? Well it seems craft beer is the answer. 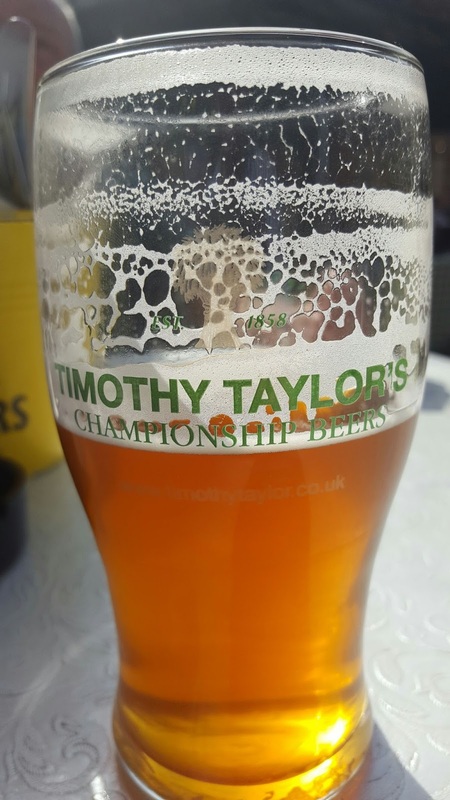 Despite the total beer and cider sales falling by a rather alarming 4 percent, it seems that sales of craft beer have risen considerably and Fullers Beer Company has grown profit by no less than 8 percent against a background of a switch to higher end drinks. Also hidden in the midst of all of this is the observation that profits in tenanted pubs fell while those in managed pubs rose. This reflects a trend of breweries and indeed Pub Companies with tenanted or mixed tied estates switching their focus in bigger houses to management. This is just one more move away from the traditional model of pubs and beer that pertained for so many years and is significant. So back to craft beer. It isn't necessarily volumes of sales that are the salvation of Fullers profits, but a most basic of trading concepts. It is all about margin. 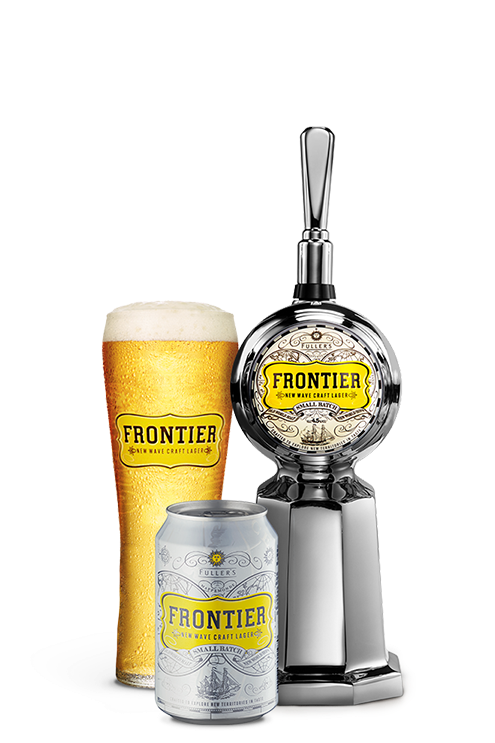 You can sell craft beer, especially in house produced craft beer such as Frontier for a bigger price. Who'd have thunk that? If you actually produce that beer yourself and convince your customers of its worth, you can charge more for it without it actually costing you that much more to make. Once it is more widely understood that not only is craft beer attracting the more price insensitive customer, but you can make big money from it then you can actually see where the likes of ABInBev are going with their current policy of buying up craft breweries. Pennies are dropping all over the place. Many of the smaller regionals are already going that way - think of Adnams as a good example and maybe even the likes of JW Lees will be selling beer in fancy 330ml cans to join the gaderene rush before too long? How meaningful - if it ever was meaningful - is the term "craft" now? And what about the purveyors of murk - sorry cutting edge breweries in their cold railway arches? Back to the niche I'm afraid. That's their place in global brewing as the big boys circle. The times are changing. When I get back from Frankfurt that is. 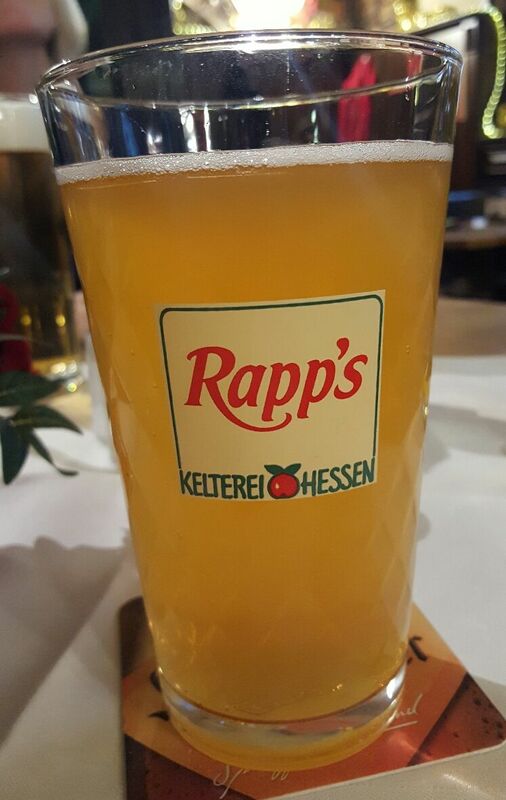 Apfelwein anyone? Labels: Comment, Craft Beer, Industry. Analysis, Tenancies, The Future. Yoof. Pub Curmudgeon is often banging on about pubs behaving like restaurants and instead of treating food as a supplement to drinking, they reserve all the tables to the detriment of customers who just fancy a pint or two. Mainly his complaints centre around questions such as "Are you dining with us today?" It's a fair point and it can be dispiriting if all the tables are set out for diners, with cutlery, menus and whatnot and have reserved signs on them, especially if the tables aren't occupied. Rightly, the German system of saying when a table is available until is recommended, but rarely seen in the UK. A pub I used to frequent rather a lot is Lees Horton Arms, set under the motorway bridge in Chadderton and in quite a rural looking setting. It was always a really good, slightly upmarket, wet led pub and, when I first knew it, a Lees managed house with a legendary landlord, ex policeman Peter O'Neill though for many years after his time, a tenancy. I got to know a lot of the locals there and for quite a while, a gaggle of them used to come up to the Tavern for a drink on a Sunday, cementing relationships even more. Two or three years ago, the pub was renovated, with a much loved side room becoming a dining area and a lovely new set of toilets built, replacing the somewhat tired ones. The pub was given a modern look from its previous horsebrass forward incarnation, developed over years no doubt. New chairs and tables and various modern pictures and bric-a-brac together with a renovated kitchens, with proper home cooked food as opposed to Lees standard managed house menu, complete the picture. It's done rather well, if impersonally though a row of poseur tables in front of the bar creates a somewhat crowded look in front of the bar and jars somewhat. Mudgie will be gratified to know bench seating mixes with other types and it seems to work well. 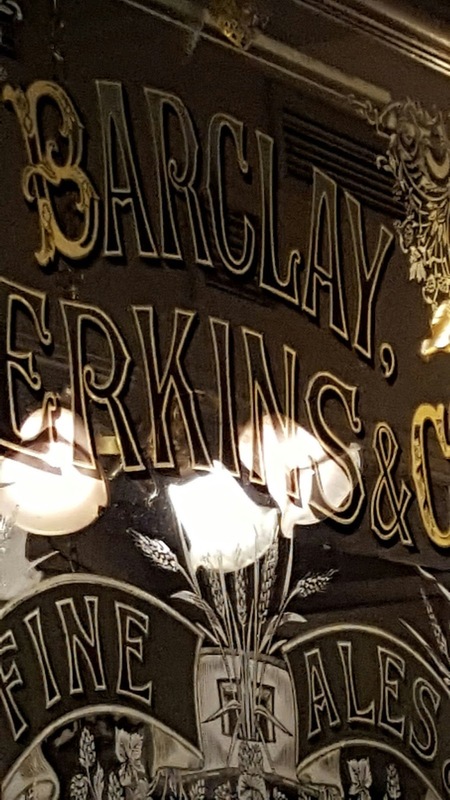 Knowing the place gets very busy and fancying having my tea out, last night I booked a table for me and E. At six o'clock the pub was mobbed, with some of my old acquaintances still there, though relegated to a small corner of the bar, not spread out as they used to be. By far most of the customers were dining. This isn't the first time we have eaten here and the place was pretty full and everyone seemed to be having a great time. What of the beer? Fantastic quality Lees including on cask, that rarest of beasts cask Lees Mild in the shape of Brewer's Dark. 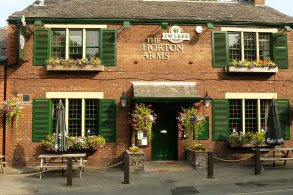 The Horton was always a bastion of cask mild and thankfully still is. Four Lees beers in total, as well as Bohemia Regent. This was always a pub with plenty of locals and even though they have a little less space nowadays, they are still there and I dare say as it gets quieter later, many will still be coming in just for a drink. The food too, in generous portions, was delicious and the landlady, who I know from both here and the Tavern came over for a friendly natter, as did a few of my old drinking pals. I enjoyed myself immensely, for a great atmosphere, tip top beer and smashing food. This seemed to me the best of both worlds in many ways and no doubt makes a lot more money than it did before and yes, I miss the place how it was, but this was really rather good and you can still buy a pint at the bar without the dreaded question. Don't drink beer essentially. Apart from the fact that it is cripplingly expensive, it is piss poor. Rome is the home of Peroni and that's what you get everywhere near enough, except in these places that charge just as much for it as Peroni places, but give you something generic for the same price. And it isn't Nastro Azzuri, the premium stuff, but the weaker and poorer Rosso, a red label beer, not red in colour, but as poor a lager as you are likely to come across. How much then? Generally for 0.2l, around €4 and upwards of €6 for 0.4 - and more if in a nice square. I was soon cured of it, even when offered in our hotel, in the happy hour, for half price. This is a "not worth it at any price" beer. What about craft? Well, there was some, with un-named bottles sold at loony prices here and there. Far better to drink local wine and watch the world go by. But that was old Rome. Tourist Rome in spades if you will. A walk across the river to the area of Trastevere does not bring any relief at all from the prices and it is still touristy, but you do find a little variety in mass produced lager. You can safely ignore this though. 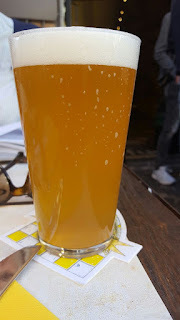 Why drink Morretti or Porretti when you can drink craft from the many little craft beer bars lurking in the pretty streets and on a sunny day, I was in the mood for a beer. We repaired to the two bars which everyone tells you are a must. Our first port of call was Bir&Fud, one of two bars in a quiet square in the back streets. Narrow and thin with three little tables at the front, this offers a veritable cornucopia of Italian brewed craft beers. The narrowness of the pub is offset by bigger rooms behind, but we sat outside in the front while a gaggle of voluble Italian lads and a solitary lass scoffed beers and laughed a lot. My Hammer Brewery Saison was as good a beer as I'd had in a while - spicy, hoppy and very moreish - so good I had two - while Eileen liked her Italian lager, though muttered a bit about its haze. The pub was quiet though and I reckon it might get a bit frantic there when busy, but we were greeted warmly enough, the beer was bloody good and, by Rome standards, cheap. Beers were mostly €6 depending on strength and it seemed you just got smaller glasses as the strength went up. Not a bad system at all. Across the road is Ma Che Siete Venuti A Fà, beloved of luminaries such as Stonch who praised it to the heavens years ago. Again it was fairly quiet and again, the beer was bloody good. E enjoyed her imported German Pilsner - can't remember which - but, to her immense satisfaction, clear as a bell, while my Rurale 5 Seta Special was a Belgian style wit with bergamot, which again called for two. Same as its sister place across the road, I wouldn't fancy my chances later in the evening, but it was sure charming enough and the same prices applied. 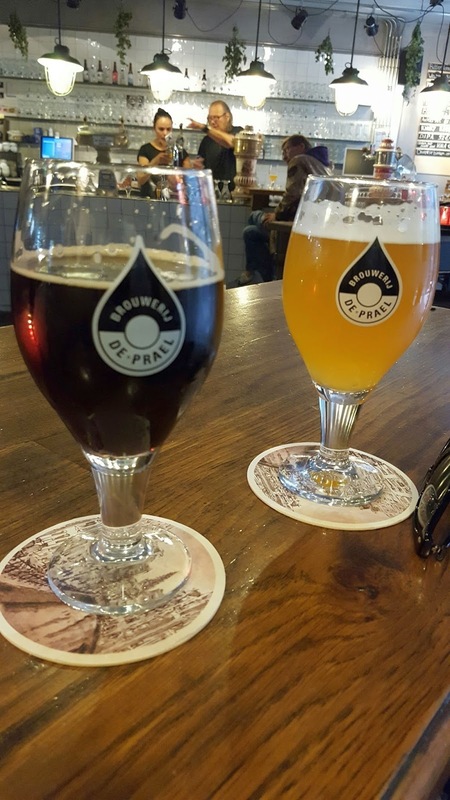 So when in Rome and you fancy a beer, go to these two places. Pretty smashing really. We should really have stayed for more, but we fancied something to eat where there sun shone. Both these pubs were in the shade and sadly the sun did not shine all the time for us and we didn't want to miss it while it was there. Unwisely, I didn't take Jeffers advice for other venues. I should have, but E will be glad I didn't. She was in wine mode. Mind you it was ten years ago. I'm not quite finished with Amsterdam. 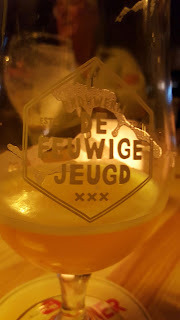 I'd always wanted to go to Brouwerij 't IJ after an abortive attempt to do so many years ago, thus it was that on a warm sunny day, E and I hopped on a tram from Dam - we did - honest -and headed out there to meet that rarest of beasts, a Stockport person that knows everything there is to know about Dutch beer - or so he tells me. Yes, it was the one and only John Clarke, en route to yet another Dutch Beer Festival. He was already getting stuck in when we joined him on the outside terrace and enjoyed nipping inside from time to time to refill the generously sized glasses of relatively cheap (for Amsterdam) beer. It really was rather pleasant and the place was comfortable busy, in and out, with non real sign of the supposed gruff service that some commentators remark on. I do wonder why so many foreign brewers make somewhat inferior versions of IPAs, Double IPAs. etc, but hey, that's what sells folks. All the beers were pretty tasty actually and jolly good value. It was a pleasant afternoon and it's always gratifying to go to a place you've always wanted to visit and find out you like it. Now I haven't always wanted to go to De Prael, but had looked in the door of the bottle shop while heading for the Hidden Catholic Church, more or less next door. I mentioned this to Mineer Clarke who soon set me right. The pub was just a few streets down from the shop, hidden in a somewhat austere alley near a canal. Now everything is near a canal in Amsterdam, so I know that doesn't help, so just look it up. This is a brewery with not only a mission to brew good beer, but to help those with psychiatric problems and it is worth a read here to see what this is all about. Suffice to say it is a great place to visit in its own right and its social conscience does it credit as a bonus. We enjoyed several beers here from a somewhat baffling menu which seemed to have as much missing from it as included, but it had some lovely beers, again at decent prices. The venue is fantastic really, with the bonus of really interesting customers to gawp at and the staff here seemed no more confused or confusing than any Dutch bar. The Dutch are a rather nonplussing lot in my experience and always seem to keep a bit of information back from those that aren't their compatriots, which is rather charming I find. I like to be mildly disoriented when in a foreign bar. Adds to the overall experience I find. I've been away, so haven't got round to writing this up. I went along to IndymanBeerCon on the trade day and had rather a good time. I spent a tenner. A tenner you say? How could this be at the most expensive festival around? Arriving around two thirty I was unsure who I'd know, so just bought a tenner's worth to keep me going until I decided how long to stay. First of all I spent a bit of time wandering around trying to get to grips with the place, or rather, get to grips with what beers were on sale. It was harder than you might think as the eclectic collection of bars were rather small and hard to get to, most being surrounded by festival goers, but that was part of the fun. Of course I was delayed too by chatting to various people I knew and that was definitely part of the fun. The first guidance was given to me by an eager beaver who had clearly been there since opening and who had also, clearly followed his own advice with some determination. "Buy the rarest and strongest" slurred my beaming sage, pointing me to a particular American beer, which I was assured was as scarce as hen's teeth. It seems his advice had been taken up with abandon, as there was none left. I suppose that kind of figures. Of course though, with only a tenner's worth - four thirds in this gaff - I did follow the proffered advice, in part at least. The beers were all rare to me, so I just decided to have the darkest and strongest. This wasn't a bad decision at all, as I'm partial to an imperial stout or two. I was also offered and accepted a few tasters, both by servers and friends and this did help make my mind up. Frankly I didn't have a bad beer - well the odd bad taster - though some were better than others. On my smallish samples, I enjoyed the clearer ones more than the muddy ones and as always at these events, I enjoyed the crack. It is fair to say that the one price fits all way of doing things divided opinion more than somewhat, with quite a few going for the strongest purely on a VFM basis, while others weren't that bothered. Many seem to regard this event as one to be saved up for, like a concert or the like. I don't recall prices being a point of discussion last few times though, so clearly it had struck a chord with some. Beer for the people? Maybe not. The crowd was the usual collection of trade types, hipsters, CAMRA types and Joe Public. I got the feeling that this session was likely to contain the oldest average age crowd of the event. It was jolly enough for me though and being bought a couple of thirds by brewers (tokens used) helped me have a good time. 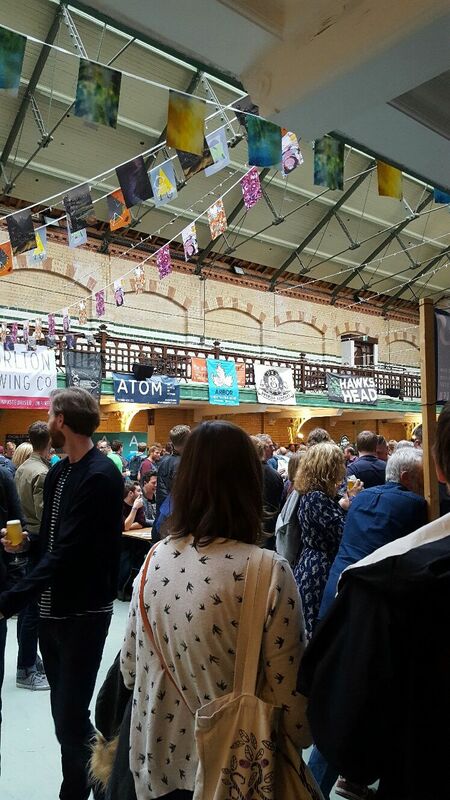 Has IndyManBeerCon gone wrong? I don't think so, but I'm not counting up all the kegs of weak beers left at the end. I left after a couple of hours, slightly buzzed as our American friends might say, but that wore off on the bus. I'd had enough strong beer really and if I'm honest, wasn't keen to pay £7.50 a pint equivalent for the weaker stuff. Of course I went for a drink when I got off the bus. Supping beer or sipping beer? You pays your money and you takes your choice, but if they are the same price, go sipping. Others have written how the do was a good as ever. That's good news, but I seemed to know a lot less people than I usually do and some didn't stay long, but it was fine for a couple of hours. A few bemoaned the lack of cask (none on sale as far as I know at the session I attended.) The servers were all pretty pleasant which is great. I didn't bother about food. I had free entry as trade. That's quite a saving. I took no notes and one photo (above). It is always good to try the local bars when abroad. It is there you get the feel for a place, though if course it can be a matter of pot luck as to what you come across. Near our hotel in Amsterdam there were a couple of bars our group of ten met up at for a couple of pre-dinner drinks, having gone our own way during the day. Both were friendly and accommodating, rushing to make tables up so we could all sit together and generally being friendly and welcoming. But the beers were a bit shall we say, pedestrian? Nonetheless they gave a great impression of the city as being a place that you'll be treated well. That's just what you need when away. Now one of the things that you really must do in Amsterdam is going for a "Rijsttafel" in an Indonesian restaurant. These restaurants are a relic of the Dutch colonial past, much as Indian restaurants are of ours.We chose one carefully and bloody good it was too. It was outside the inner city and thus less touristy. We walked back to our hotel, the night being lovely and of course fancied a beer on the way. We knew by now to avoid these at all costs, any Heineken sign boozers. The choice is pretty poor and the prices rather high for what you get. This meant a bit more walking, Heineken being everywhere. We eventually came across a nice little boozer that was worryingly empty at around nine thirty in the evening, but the the Gulpener sign assured us we'd find a beer or two that we'd like. Our host, a young laid back Dutchman, was happy to see us. He explained what beers he had available, insisting on us trying a taste of each before we made our choices. Perfect. In typical British fashion, us men sat outside drinking beer and watching the cyclists whizz by, while the ladies sat inside drinking wine. Our host kept us up to date, by helpfully advising us when the women ordered another round, knowing full well that we'd follow. This arrangement suited us very well. We left after three or four beers as the bar started to fill up. Great stuff and again the welcome and care was outstanding. Well done Café Cees. We had though noticed another bar near the hotel. Again signed for Gulpener, it was tucked away behind the Concertgebouw. On our last night, we were eating in the area, so we called in for pre-dinner drinks. Our host here was of the more taciturn type, but us ten filled a round table and got on with things. On the wall was a poster advertising Van Vollenhoven's Stout. Sounded good and a squint at the price list showed it to be on sale. At the bar, we ordered two from our less than talkative barperson. He rummaged silently. He had none after all it turned out, but recommended a bokbier from the tap. Now it wasn't what we wanted, so I asked for a taste. After all he had recommended it. He answered in authoritative style. "No." One word, that's all. Hmm. Ah well, it might have been the best beer in the world, but bugger him, his recommendation and his lousy attitude, so we ordered Orval and carried on. I reflected we'd brought ten people, along for a drink and we all had two or three, so a taste wouldn't have hurt. In case you are wondering, it is Café Welling. So what does all this prove? Well, when you have a choice, go where the welcome is warmest of course. This advice of course is only good if you go to a place more than once, but I offer it up nonetheless. Would I advise you not to go to Café Welling? Actually no. It is a nice place with pleasant customers and seats outside. Just don't ask for a taste of the beer, or depend on affable chit-chat. Annoyingly it is a Dutch habit to lose a bit of beer on pouring. They sort of pour a bit down the drain before applying the glass. That bit would have done me as a taster. In early Autumn sunshine, Amsterdam is quite delightful. From our hotel near the rather grand Concertgebouw it was a nice stroll across the park to the Van Gogh museum (unmissable) and the Rijksmuseum (less so). But man does not live by culture alone and after a visit to either icon of enlightenment, a spot of liquid refreshment is required. 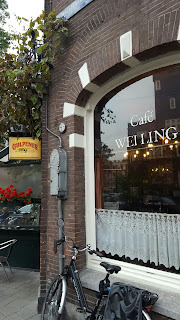 Now of course you could repair to any number of local outlets for the ubiquitous Heineken, but if you want to drink in pubs of the company that put the lack into lustre, that's fine, but there are other options. In what might roughly be called the centre of town, not far off Dam, is one of the most famous of boozers, In De Wildeman. 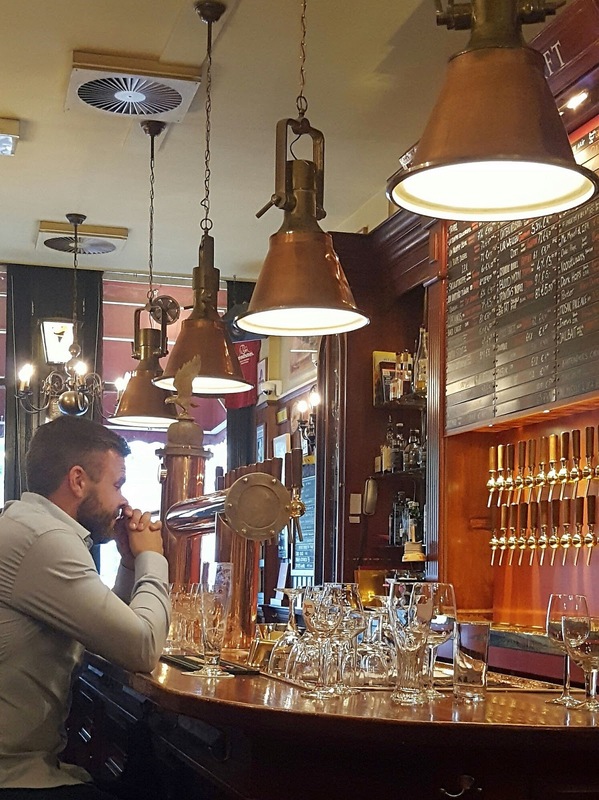 The pubs own website describes it as "one of the best places in Amsterdam to taste new beers or simply drink your personal favourite". That's exactly so. I took our small party of six in after their visit to the hidden Catholic Church, a spot of culture I opted out of, preferring to sit in the sunshine at the canalside, watching the world go by. 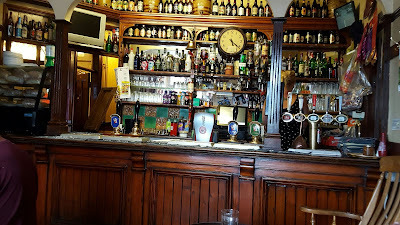 This is an old fashioned boozer with multi rooms, a soothing atmosphere and a warm welcome from the barmaid, a Mrs Doyle look and sound-alike who was pleasantly helpful and gratifyingly, Irish. My pals and E all drank Jever. OK it isn't Dutch, but it is good. 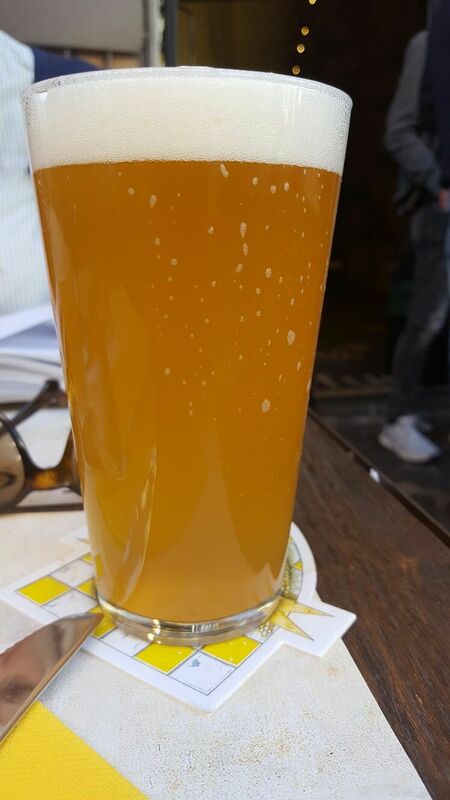 I too avoided Dutch beer, not through any bias, but because I fancied some Weihenstephaner. Cheesy and (raw) sausagey snacks provided the sustenance to see us through another couple of rounds. It is that kind of place. Two of our party left for different things and four of us decided, on my prompting admittedly, to visit another icon, Arendsnest. We asked a friendly local for directions. 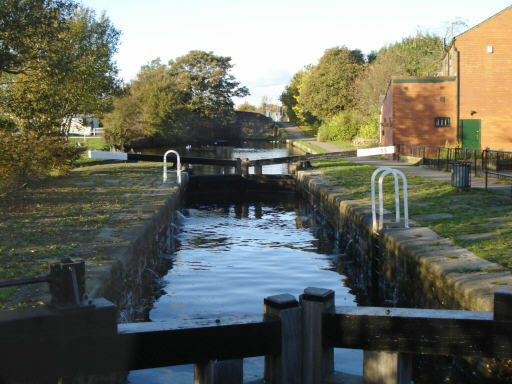 "Two canals over and on the left." Oddly, one canal over and the noise and bustle of the city receded. Two canals over and it had gone, giving way to a sedate residential area which was a pleasure to stroll in. The bar itself is in a handsome terrace and is beautifully appointed. It serves only Dutch beers. The greeting here couldn't have been better and the smiling barmaid insisted in giving us tasters and happily talked us through the draft beers. We stayed for two, or was it three? Time ticked by gently and both the beer and welcome made you glad to be there. 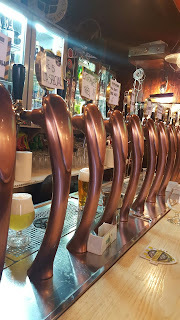 A day later, E and I visited Beer Temple, an American beer bar on Voorburgwal. This is described on t'internet variously as "cosy" or "relaxed". We both thought it a bit of a dump in need of a clean and although the beer was fine, it reminded us that there is more to a drinking establishment than a good beer list. When did Heineken become so undrinkable? It used to be reasonbaly quaffable, but now seems sweet and turgid. 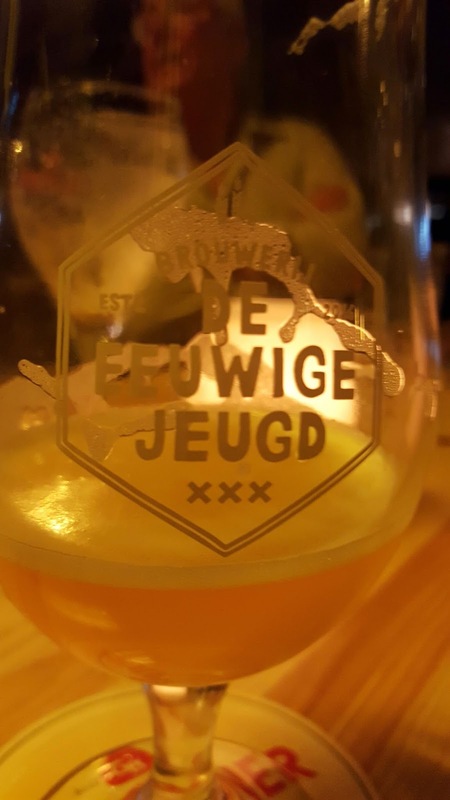 Beer in Amsterdam isn't cheap, but pick the right places and you still get value. Pick the normal places and you get Heineken at €5.80 a half litre. Top tip. If in a Heineken joint, buy Duvel. A few weeks ago I was in London having a few pints with @erlangernick. I wrote about some of it here. For our last beers, I took him to one of my local East End pubs, the Dispensary near Aldgate East Tube Station. I usually go there when I am down at our London flat, as it sells decent beer and is handy for me. During this visit, Annie the landlady came to chat and ask if I was coming to their beer festival. As it happened I was going to be in London that weekend. She asked if I wouldn't mind checking over the state of the beers on her external stillage and for a bit of advice - which I duly gave. She was worried (among other things) that the beer on the stillage, served by gravity, wouldn't be up to snuff. Fast forward to the night before the festival when I went in to see what was going on. The stillage was erected, twelve beers on board and all vented using a porous hard spile as I had suggested. All were untapped. Cold water cooling was supplied by Adnams and the beer seemed cool to the touch, so all looked good. I tapped all the beers and samples were spot on. So far so good. I called in the next morning all was well. No big leaks - a miracle in itself - and even better - no cask had spat its tap out overnight. That's always a fear. The beer was cellar cool, well conditioned and mostly pin bright apart from those that weren't meant to be. Well we thought they weren't meant to be, but it is hard to know these days. All tasted fine however and we disregarded the odd haze. None were soupy. The festival was opened by Roger Protz who was, to say the least, surprised to see me, but we had a great time and the pub was busy. Roger drank some Londom Porter which he loved and gave a very amusing and interesting speech about beers in the East End and spoke fondly about his old favourite, Charrington IPA. Roger is a true East Ender and was happy to be back. We had a good two or three hours. Later, much refreshed after our gated community's annual residents party, we called in again. The pub was still busy and beer still good. 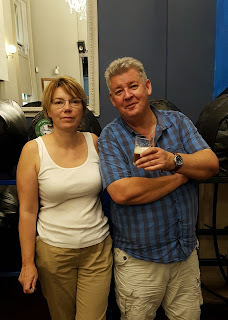 On Saturday night after meeting friends we nipped in once more on the way home and again the beer on stillage was still in great form and the pub, not usually open on a Saturday attracted quite a crowd. It was clearly going well. As I keep saying, looking after cask beer is actually fairly easy. Why do so many get it wrong? The photo shows Annie and me after the beers were tapped. I didn't take any pictures of Roger. Or much else. Don't know why really. Disclosure: Annie is a pal. I just helped her for a few beers. And to prove a point I suppose. Oh and David, her husband gave me an excellent sausage butty! Assuming the event wiped its face at least, Annie and David will be doing this again. I might help. Last Saturday we met friends who had come down from Manchester for the day. Their plans, being Beavertown fan-boys - well craft fans in general really - was that we should go to Beavertown's Saturday opening. Alas it was not to be as instead of the usual open day, it was a ticket event which had sold out. So we arranged instead to meet in Soho for some more ordinary pub crawling. Our first pub was based on nearness to Tottenham Court tube and you don't get nearer that Nicolson's Flying Horse. Let's draw a veil over the awful beer there, but it was just a meeting place. 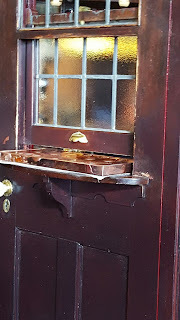 We had intended to have a look at the Fitzroy Tavern, newly renovated by Sam Smith's. 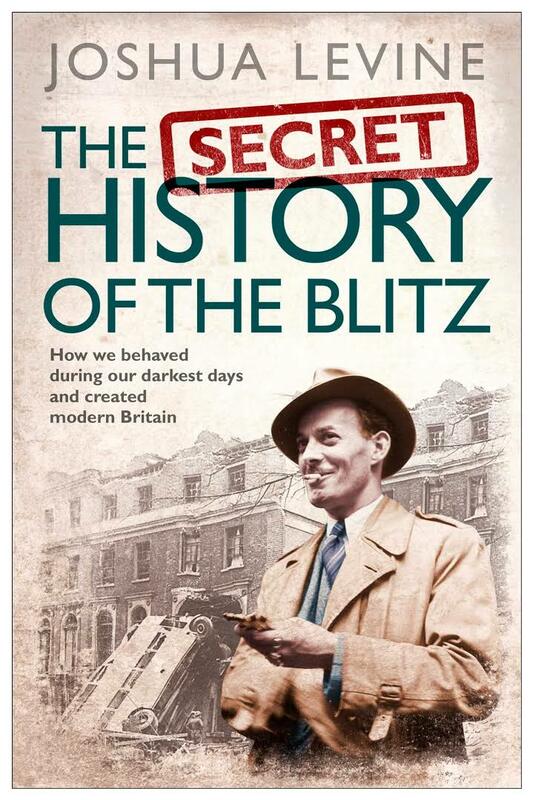 (As an aside, I found out when reading a book this weekend about the blitz, that the Fitzroy was a well know haunt of homosexuals during the war. That's where you went for a sure pick-up if one batted for that side. Or both.) Alas entry wasn't to be either, as it is still closed for aforesaid renovations fifteen or more months after it started, so plan B was the Draft House across the road, also in Charlotte St. The beer there was fine and actually cool to cold, which is unusual if our local DH in Seething Lane is anything to go by. It wasn't Good Beer Guide standards in my view, but good enough to have a couple and it started an upwards trend. Brodies' Old Coffee House was busy and the beer was pretty good. Again probably not quite GBG standard, but a notch up from the Draft House. Food was required by now and so we went on that basis to the Queen's Head in nearby Piccadilly. Both the welcome and the beer were excellent, with Good Beer Guide quality beer and staff who seemed to actually like their job. The rising trend continued. Out in Manchester the other day with my oldest friend, our first pint was in Sam's Chop House. There was a middle of the road selection available - think Black Sheep and Bombardier - but we both chose Taylor's Landlord. Mike raised his eyebrows as the barman announced "£8.40 please". I mentioned as a footnote in my latest blog that we had visited the Beacon Hotel in Sedgley on our recent Black Country trip. This pub is an old friend of ours, but I was taken aback to learn from our leader that we had last visited in in October 2009. Gosh it didn't seem anything like as long ago. Doesn't time fly? 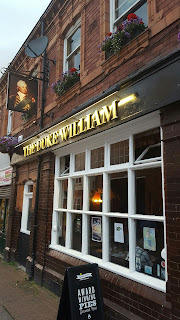 Much has been written about this pub and I recommend for those that wish to know a bit about its history to read Jeff Evans splendid piece here. We entered the pub at about twenty five past two. Now this would not normally be a key piece of information, but here in the Black Country where they follow a different path in so many ways, it was important and it brought memories back. We had just squeezed in before the pub closed for the afternoon at half past two. We quickly ducked into the parlour and ordered beer from the odd servery hatch with its sections facing out into each of the separate drinking areas, pausing only order pints of Pale and to specify straight glasses as opposed to the handled jugs preferred here by the majority, not as a result of any modernity or nod to hipsters, but because they always have done. Well at least in recent memory. We sat at the corner bench seating nearest the door and servery and promptly at two thirty, the shutters came down. The pub was pretty busy, probably around thirty or more customers, all drinking beer on a Wednesday afternoon in a quiet part of the world, on the main Birmingham to Wolverhampton Road. Unlike us, they all seemed to be local and quietly supped up and drifted away. 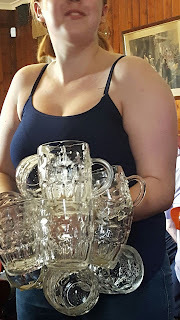 The barmaid emerged and grabbed many handled glasses in a bunch and disappeared with them. As the pub emptied, we supped up too and left, me wondering how many pubs these days would call time on a busy pub at two thirty on a Wednesday. Not many I reckon, but that's the Black Country. 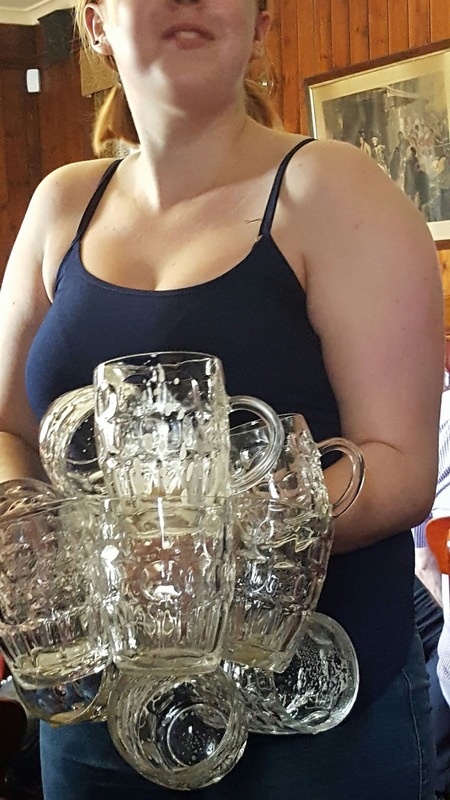 The very nice barmaid allowed me to take a photo of her with all the empties on the basis that I didn't include her face in the photo. The other photo is of the closed servery. You have to trust me on the half past two bit. Are snacks in pubs a good thing? I'd say so, but in the never ending search for margin and profit - just look at the good old Morning Advertiser for tips on how to do so - are pubs missing a trick in not supplying simple, reasonably priced snacks to customers, who will then carry on supping? Many of us just don't want a meal in a pub, but other than crisps, nuts and scratchings, there is little to sustain you if you are out for a few pints and feel a tad peckish. A full meal will stop the most hardened pint drinker in his or indeed her tracks. Remember the days when you could get a sandwich or filled roll more or less anytime? Or the pie warmer with its last dried out pie finding a sure sale at 9.30 in the evening? Now some London pubs have been doing this for some time with a more gourmet approach. Simple food such as Scotch eggs or pork pies, garnished with a few leaves and a sliver of tomato, served on a roof slate for north of five notes, but while that may be a port in a storm, it doesn't quite cut the mustard - pun intended. No My Dears you want to get yourself to the Black Country where pubs are still an astonishing throwback to the seventies, without the smoke. Here you can buy a pork pie in almost any pub at all, or a filled cob - cheese and onion only - for no more than two quid and often less. OK. No added garnish and no roof slate or board - just a plate and a pit of Colman's English Mustard - but you do get a locally made pie, or a crusty, chewy cob, filled on the premises, with a hunk of cheese and a big chunky slice of onion to keep you going. 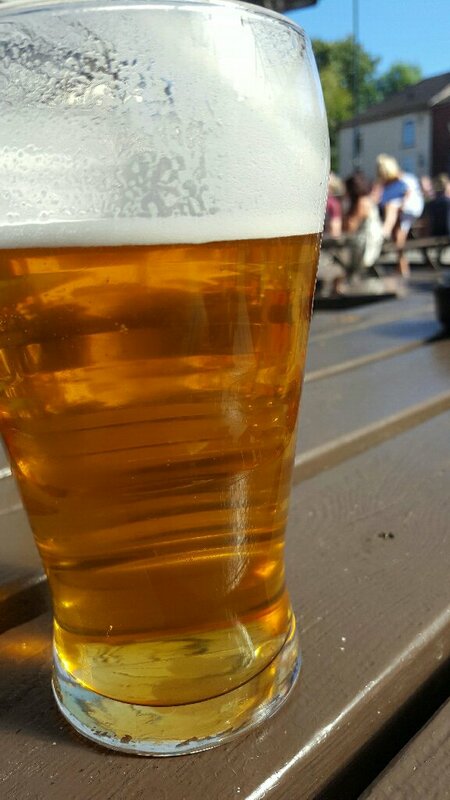 Matched with a peerless pint, what more could one want? Of course, even in the Black Country, there are plenty of pubs doing meals. Our first stop, on a Tuesday lunchtime, in Sedgley, is a case in point. Busy with diners and with exceptionally kept beer, the White Lion was doing a roaring trade in meals. The Landlady, a veteran publican, chatted merrily to us as she rushed about and we joked about the Good Beer Guide entry remark of "You won't leave here hungry". "You definitely won't". she retorted. This was a turnaround pub we were advised, something the Landlady and her husband - the beer man - specialise in doing. Giving the people what they want still works. We were in beer mode so just had a couple of pints, but I bet we could have got a filled roll if we'd asked. We did ask in the Bull's Head along the road. "All gone" quoth the barmaid "but hang on." A quick shout out the back and a reply "How many? We'll make some fresh for you." Cheese and onion of course, as big as a baby's head and £1.40 each. Of course we stayed for a couple more pints of Holdens, hopefully proving my point. Reasonably priced and tasty simple snacks aren't the most sophisticated of things, but they do keep people in pubs. Cheap to produce, good mark up. Worth doing in the right circumstances I'd say. I wrote about this before here nearly four years ago. At least I'm consistent. After we left the Bull's Head, we arrived at the famous Beacon of Sarah Hughes Mild fame, just before half past two, in time to get one pint before they chucked quite a crowd out. 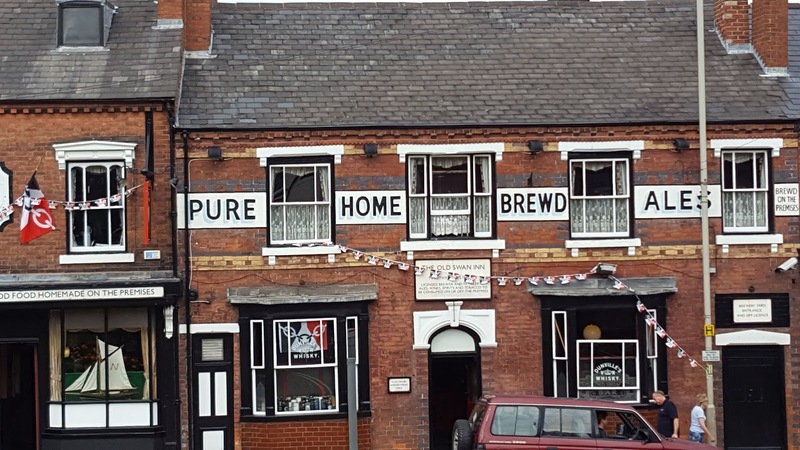 The Black Country is very old fashioned in so many ways. Half past two afternoon closing eh? 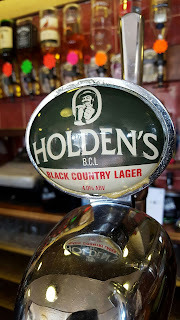 On last week's trip to the Black Country I was more than surprised - taken aback might have been a better word - to find that most conservative of brewers, Holdens, selling their own Black Country Lager. In one of our first stops, the Black Bull in Sedgley, the very chatty Landlady heard us discussing it and offered me a taste. Very nice it was too, although that may have been different when scaled up. Oddly the brewery's own website makes no mention of it at all. 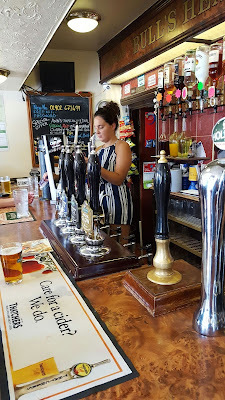 On the last day of our jaunt we stopped at Eccleshall and popped into the Royal Oak, a Joules House, and again there was an in-house lager on sale. 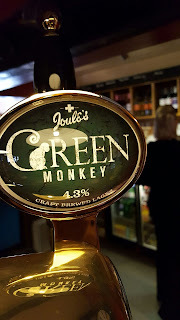 This time the beer, Green Monkey, was clearly described on the website and interesting it was too. "We are very proud to say Green Monkey will never be pasteurised or artificial carbonated, we like our lagers "Brewery Fresh", and this comes from being lagered for up to four weeks. This careful method develops a naturally carbonated drink, producing the most delicate of bubbles, creating a smooth finish on the palate. I didn't have time to try this, but it did set me wondering how many such examples are being brewed out there. Two rather small breweries doing so is interesting. Now of course I know of the likes of Fullers, Lees, Shepherd Neame and probably more, but how common is this and are they readily available on draught? Can anyone advise? Are there other such lagers out there? Of course the question I should have asked of Joules, is how this naturally carbonated lager is pushed to the bar. I also acquired a Joules T Shirt in the pub when the Landlord allowed us to add our drinks together to qualify for a promotion. Nice one. A couple of Saturdays ago I was out and about in Manchester with E and the erstwhile landlady, now a staffer at a local JDW and her husband, a manager with JDW. Both are old friends and having just started a couple of weeks off, were enjoying a beer or two. 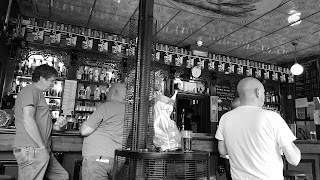 We joined them after they'd made a reasonable start on the ale and had a decent little crawl through parts of the Northern quarter, the sole criteria, stipulated by herself, being that the Landlady hadn't visited it before. We started in 57 Thomas St, Marble Brewery's outlet in this trendy part of town. I hadn't been since they did up the upstairs and made that a cask bar. Nicely done, but I was surprised - not in a good way - to find the beers served by gravity behind a glass partition. Very micro pub. My pint of Pint was completely knackered, my experience not enhanced by the barman tilting the cask forward by hand to give me a full pint. Surprisingly after that it was clear, but unsurprisingly, totally flat. I had it exchanged for another, but somehow I feel that gravity pours rarely work that well unless turnover is mighty fast. 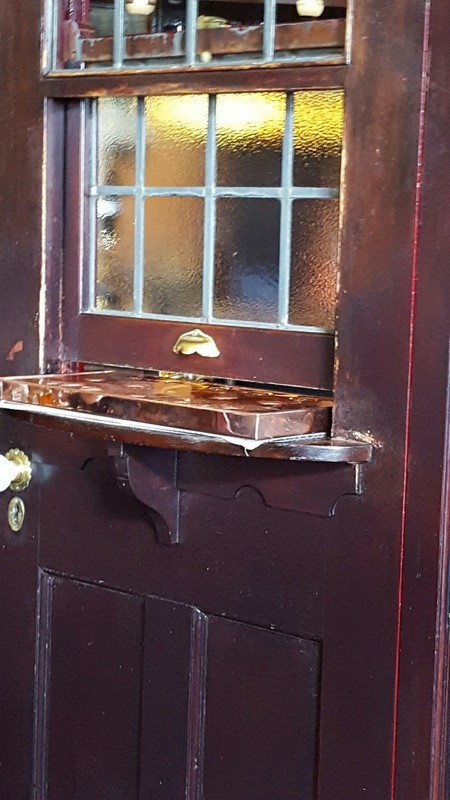 I also wondered why they hadn't reversed their refurbishment by putting the keg upstairs and the cask on handpump below. To me, this way round, it didn't work. Moving on we discovered that on a warm late Saturday afternoon, cellars were obviously not working to their optimum. We had disappointingly too warm beers in the Soup Kitchen and the Allotment Bar, but the side was held up by Pie and Ale which was spot on. Resisting the blandishments and blatant pleading from one of our party to move on to Spinningfields and ruling out of hand a visit to Lees Millstone, which was packed to the rafters and a bit rough and ready, even for me - and I'm not that choosy - we compromised by heading to the Unicorn for that rarest of beasts, Draught Bass. 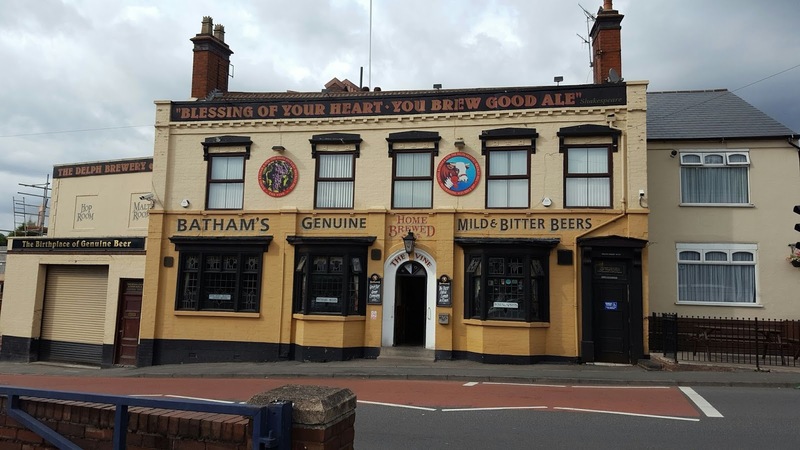 Our JDW manager doubted its existence (he may have thought it a Robinsons House) and still muttering about the Millstone - he has managed quite a few Lees pubs in his time - we entered to the usual mayhem. The place was packed four deep at the bar, every seat was taken and the hubbub of conversation took us all back to pubs of many years ago, this time without the fug of cigarette smoke. All types were represented here. Middle aged couples arriving for a night out, a hen party, gaga with booze, but adding shriekingly to the already vibrant atmosphere, ne'er do wells in corners conspiring over Carling, well dressed gents having one before moving on, locals standing at the bar, guarding their usual spot with pained defiance and practised ease, despite the mob behind baying for beer. It was all rather marvellous. The staff bustled about dispensing lager and Worthington Smooth at top speed. Unknown beer from the wicket was seen being cranked up and down and dispensed at speed. From our place in the crowd we could just about see the rear of the handpumps in the circular bar. Our JDW man glumly bawled to me above the merry din "Bet the Bass isn't on." I caught a barman's eye and shouted out that rarely heard order "Two pints of Draught Bass please." Not only was the Bass on, it was superb. In this time capsule, it seemed just the thing to drink. We had two pints each. The Unicorn was a Bass House and Bass is still one of the permanent beers. The presence of Worthington Smooth is another clue. I wrote about it and Bass here a couple of years ago, but I liked the Bass less then. I wonder why? Our JDW man will enquire if he can procure a trial cask of Bass for his pub. I do hope he obtains it. I reckon it will sell. I squeezed through the crowd for the photo. Wouldn't want to do that twice. The number of pubs closing each week is falling! From a high of 27 pubs a week six moths ago, to "only" 21 a week now. In 2014, the numbers closing weekly averaged 33. Significantly, the total number of pubs has fallen by a fifth in the last decade to around 52,000. 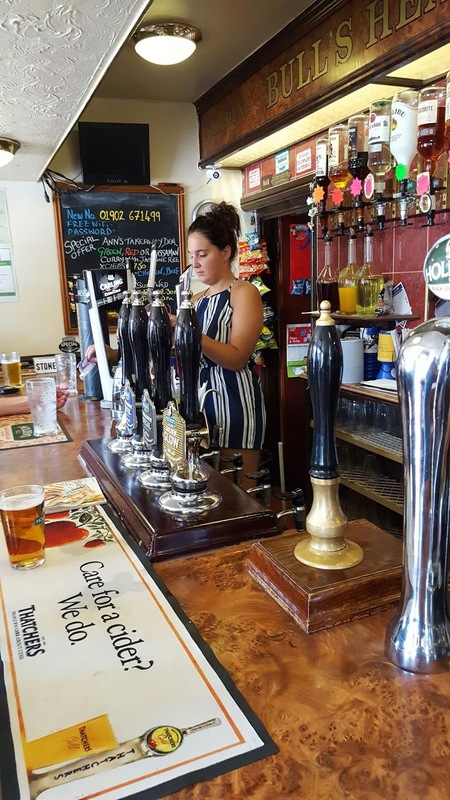 According to CAMRA, the Campaign for Real Ale, the closures have affected rural and suburban pubs in a disproportionate manner which is rather concerning, with suburban pubs suffering most with 317 pubs lost in the last six months. While to some extent the rural losses are, if not understandable, at least explainable, but the loss of suburban pubs is particularly disappointing. I know from my own experience that here in Middleton, our Langley estate which had around 10 pubs around ten years ago, has dropped to, depending on how you attribute the area, to either one or none. This likely means that vast swathes of the country have no pubs within their immediate area. No nipping out for a quick one unless you catch a bus is unlikely to encourage on trade drinking or a casual pint just down the road. The picture on the whole remains gloomy, with likely rises in food prices, national minimum wage, high taxes and increasing wholesale prices adding to the feeling that such gains as there have been being wiped out. In fact CAMRA boss Tim Page has said this could happen all too readily if there isn't another beer duty cut. I wonder with all the uncertainty over Brexit if this is a realistic hope. At the same time another worrying double whammy has been announced. The Yorkshire Post has an interesting piece about the numbers of pubs and bars in financial difficulty. They say "An increasingly large number of pubs are going bust as landlords wrestle with a perfect storm of poor weather, England’s abysmal performance at Euro 2016, Brexit and the introduction of the National Living Wage, a report has claimed. Figures from insolvency specialist Begbies Traynor show that the number of pubs and bars which were dissolved in the second quarter increased 53 per cent to 831. The research also reveals that one in five pubs and bars faces “significant financial distress”, also up from last year." 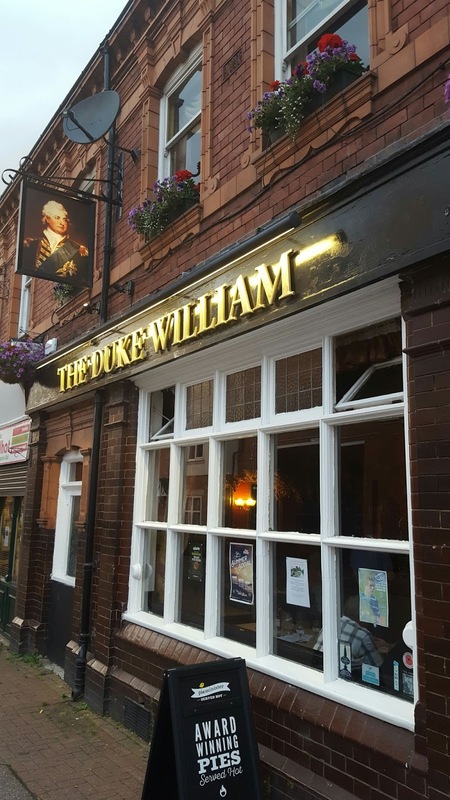 Now of course not all pubs that suffer financial failure will close, but the underlying precariousness of the pub game is highlighted by the difficulties landlords face. Anecdotal evidence says that people are cautious about spending following the Brexit vote and with margins already tight, many more pubs are likely to face, at best, reduced circumstances. Around sixty percent of consumers expect the general economic situation to worsen in the next year. If that gloom does drive them to drink, it is likely to be at home rather than out in the local - if you still have one. While CAMRA is right to highlight minor successes, it looks to me that unless things change dramatically - and that seems unlikely - that the bottom of this deep trench has not yet been reached. On a brighter note beer sales have stabilised somewhat following beer duty cuts, but much of that is in the off trade. 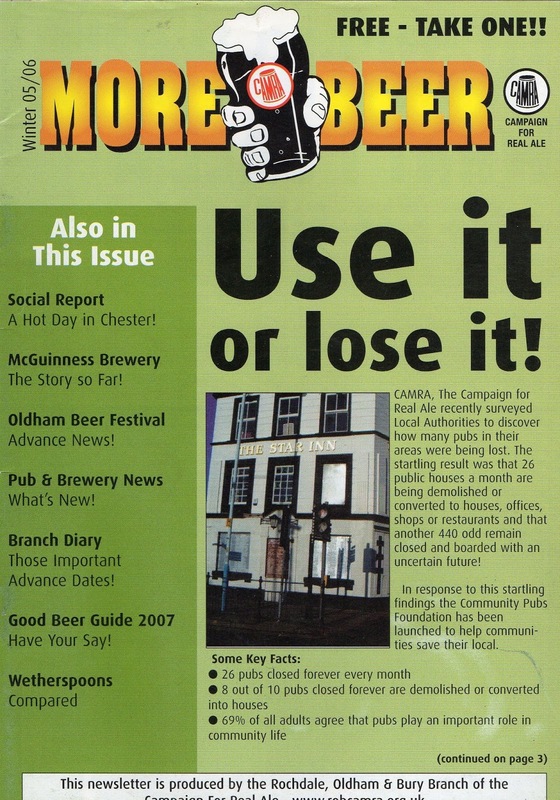 CAMRA Chairman Colin Valentine rightly advises people to use their local pub as much as possible. More than ever it really is "Use it or lose it". Mind you if you look at the photo, I was saying that over ten years ago in Issue 2 of our then new Branch Magazine.